﻿On December 18, 1944 Korematsu's verdict was delivered. In a 6-3 decision, his federal conviction was upheld. 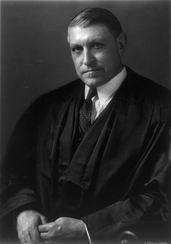 The majority of the Supreme Court believed in their responsibility of protecting national security, while the minority defended the constitutional rights of an individual. 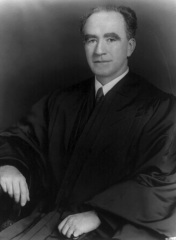 Justice Black delivered the majority opinion. 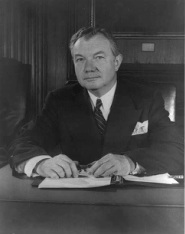 He stated that the power of the government outweighed individual rights during wartime and was a "military necessity." "It should be noted, to begin with, that all legal restrictions which curtail the civil rights of a single racial group are immediately suspect. That is not to say that all such restrictions are unconstitutional. It is to say that courts must subject them to the most rigid scrutiny. Pressing public necessity may sometimes justify the existence of such restrictions; racial antagonism never can." "We cannot say that the war-making branches of the Government did not have ground for believing that, in a critical hour, such persons could not readily be isolated and separately dealt with, and constituted a menace to the national defense and safety which demanded that prompt and adequate measures be taken to guard against it."